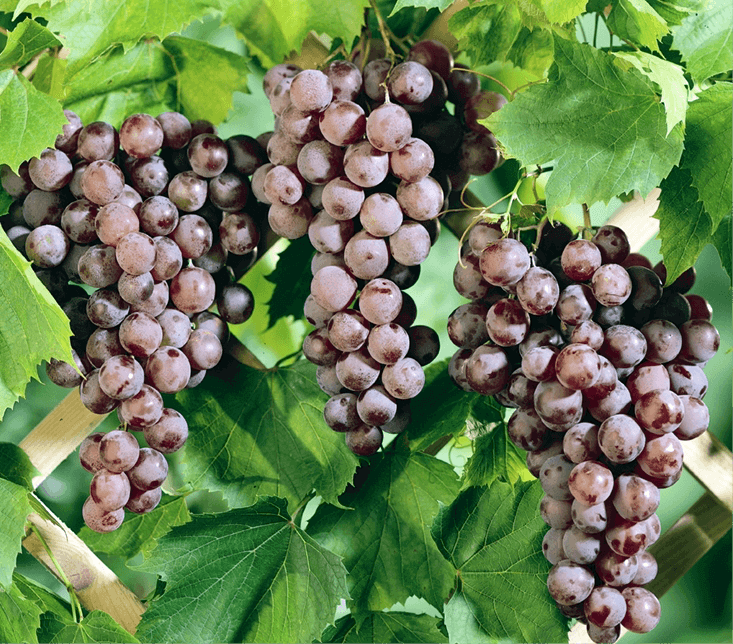 Red-hued, white-fleshed, tight bunches of delaware grapes. Yes, labrusca (not lambrusco, which is the European Vitis vinifera) refers to the family of hardy wild grapes that roamed the New World and found their way into vineyards. Look around the side of the roads, especially on the east coast. They are everywhere and known for sturdy, slip-off skins, for more reds than whites and having wildly intense, fruity and musky tastes.